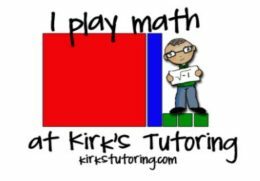 I use Mortensen Math with all of my math students. The base-ten blocks make everything visual and gives students a chance to build the problems with their hands. It is remarkably effective. No mathematical concept is beyond the grasp of a child if the teacher is willing to present it on the plane of the child. Mathematics is a VISUAL form. Understanding math comes from the ability to SEE the concepts and not in working with abstract numbers and mechanical processes. Math is HIGHLY SENSORIAL. Students must work the problems with their EYES and their HANDS before they move to the abstract. What do we need? 5 Things.